I’m Mary Vogel, Advocacy & Alliances Chair of the Congress for the New Urbanism, Cascadia Chapter. We are a potential partner on the Portland Plan as we are the planners and urban designers who have long designed and created walkable neighborhoods even while our colleagues were creating suburbia. In the Portland area, we can take credit for Fairview Village, New Columbia, Orenco Station and more recently, urban infill in the Pearl, the Interstate Corridor, Gresham, Milwaukie and elsewhere in the region. Many of us tend to be small business owners, even sole proprietors, who team up amongst ourselves and with other professionals. First we want to commend Portland Planning Director, Susan Anderson, for bringing the ethic of the Portland Plan to her role on MTAC and insisting that urban design should play a more prominent role in Metro planners scenario planning for reducing greenhouse gases. She stimulated a very positive discussion amongst planning directors throughout the region on the importance of urban design in addressing climate change—a discussion that CNU considers central to the effort. We encourage her to keep MTAC’s/Metro’s toes to the fire on this! 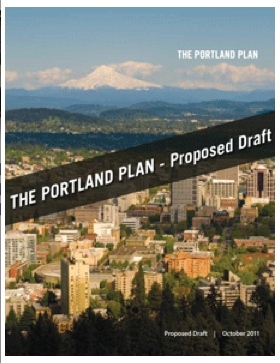 We support the emphasis of the Portland Plan on equity but with the recognition that that equitable investment must take a whole new direction—not just catch up with the mistakes we made in the past such as putting in curb and gutter to drain our stormwater away as quickly as possible or widening roads with the presumption that everyone drives. We especially like the focus on complete neighborhoods where residents can meet their basic needs on foot. We have been not only advocating, but designing and building that for over 20 years. We have some of the best expertise in the nation on what it takes to make retail successful and look forward to working with neighborhoods and the city on that. We also have some of the longest history in creating truly transit-oriented development and making transit hubs great places. We love the “Healthy and Affordable Food” actions, especially the 1000 new comm unity garden plots. This may become essential far sooner than we might think. At least one member of our group has joined Depave to help neighborhoods get this going faster than the wheels of the bureaucracy might turn. 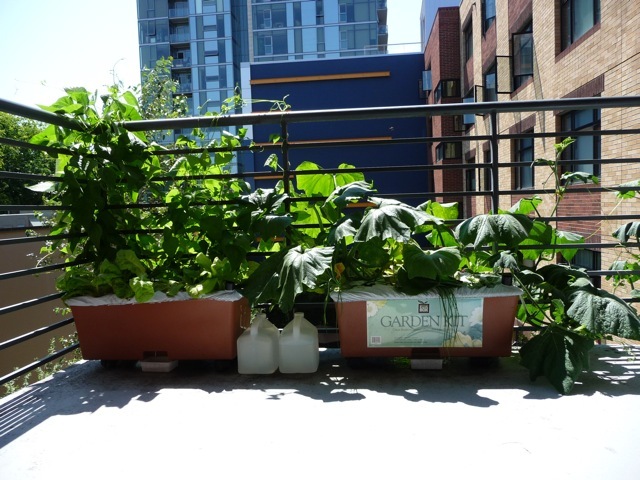 I myself have run an EarthBox gardening program on the balconies of a downtown affordable housing complex for the past couple years. I have attached photos to my emailed testimony. We look forward to working with the city to create the interconnected network of city greenways that will encourage walking and biking and weave nature into neighborhoods. I myself have long worked in creating Habitat Connections through stream restoration, invasive species removal and native plant plantings and through helping to create the Intertwine by working on two Metro Parks & Greenspaces ballot initiatives. Through the charrette concept that CNU pioneered (and our Portland-based National Charrette Institute keeps evolving), we have excellent tools to engage neighborhoods in creating 75 miles of new Neighborhood Greenways—as well as new Civic Corridors. New Urbanists have long been known for placemaking—especially with an emphasis on streetscapes and other public places. New Urbanists have written many of the tools that citizen advocates who care about such things use today: The Smart Growth Manual, the Smart Code template, Suburban Nation, the Sprawl Repair Manual, Light Imprint Handbook and others. So we are well-equipped to help with Civic Corridors. As you know, the Urban Land Institute is the “think tank for the real estate industry”. Many of its experts, both national and local, have pointed out over the last year, that the wave of the future is urban, mixed-use, transit-oriented and green building. While none of the ULI experts had any answers about how, in the current economy, to actually finance and build development where it is most needed, Metro’s own Expert Advisory Group was more explicit. 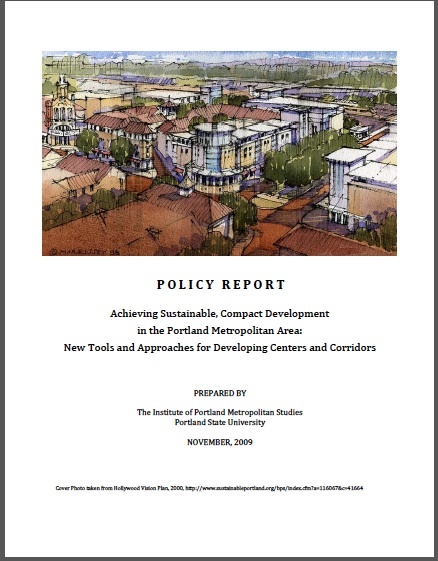 Their report “Achieving Sustainable, Compact Development in the Portland Metropolitan Area: New Tools and Approaches for Developing Centers and Corridors” identifies one of the greatest obstacles in centers and corridors development as the current credit market. The EAG report has a number of recommendations pp 20 – 23 re: financing—recommendations that would require local communities to be more proactive in the financial realm and work with citizens and the private sector to create altogether new tools. Since Metro seems to have dropped the ball with the EAG, we’d like to suggest that the city pick it up to get this group’s input on this clearly missing element in the implementation section of The Portland Plan. Transitions PDX was right in their testimony! We aren’t going back to the way things were before. We need new tools to finance the new ways of developing that the plan calls for. Before Wall Street banks got involved in development financing, money for development had long come from the local level. We need to find ways to get back to that. Such action should be taken sooner rather than later if we are to preserve the intellectual infrastructure w/the skills to implement the Portland Plan. A number of my colleagues are abandoning the profession for other careers where they can still make a living. This entry was posted in New Urbanism, Sustainability, Sustainable Urbanism, Transportation and Land Use, Walkability and tagged charrettes, Equity, Expert Advisory Group, Financing, habitat connections, Healthy Food, Neighborhood Greenways, New Urbanists, The Portland Plan, Urban Agriculture on December 31, 2011 by Mary Vogel.